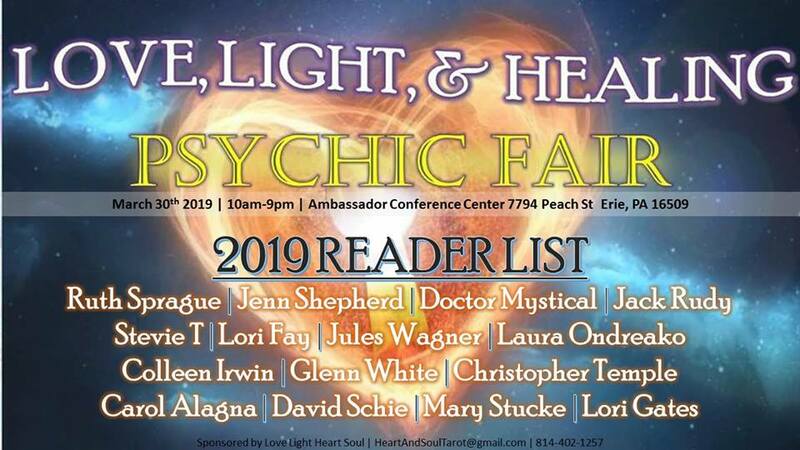 Come join myself and some awesome Mediums and vendors tomorrow if you are in the Erie PA area. We are going to have a lot of fun! There are many wonderful things to see and do… Rev. Jack Rudy and myself will be doing a Gallery at 2:30pm. It is always a fun time!!! !